Today seven employees of STAROFIT are celebrating their jubilee. 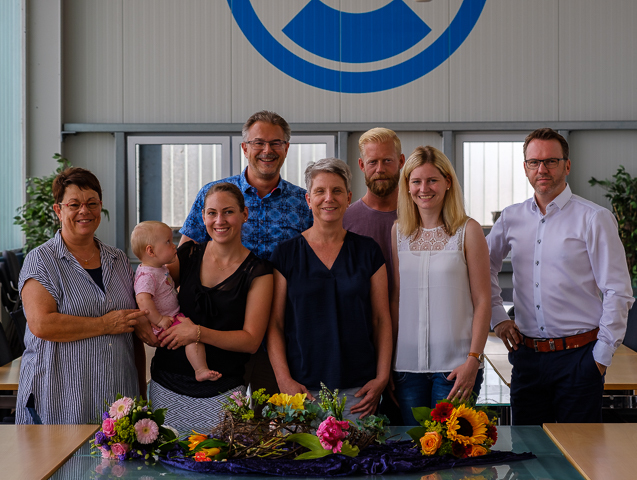 Anke Dirks was starting in our company 35 years ago, Christian Benedikt is strengthen the team for 30 years, Traute Heinken and Timo Blum for 20 years and Claudia Renz, Sharin Hense and Udo Harfst work for STAROFIT for 10 years already. General Manager Kai Beecken thanked them: "Their big treasure of experience and longstanding reliability are major importance for us." f.l.t.r. Traute Heinken, Sharin Hense, Christian Benedikt, Anke Dirks, Timo Blum, Claudia Renz, Kai Beecken. On the picture Udo Harfst is missing.